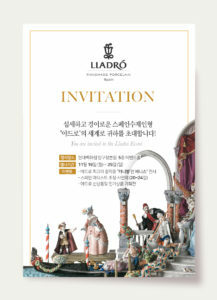 Hanyong Global Inc., known as an official import company of Lladro, is hosting “Special Invitation Event – Lladró” from November 19 th to 25 th in the event hall located at the 5 th floor, Hyundai Main department store in Apgujeong, Seoul. The event is expected to attract local collectors’ attention. Lladró is a Spanish brand dedicated to the creation of art porcelain figurines at the brand´s only factory in the world, in Valencia since 1953. Its exclusive pieces have turned the products of the brand into collector’s items around the world. A visitor of the Special Invitation Event – Lladró would be able to discover Lladró´s latest introductions and meet the supreme collection of high porcelains. The Lladró´s outstanding flower artist with more than 30 years of experience, Adela Oller, will make her journey to Korea to demonstrate live in front of the followers of the brand the artisanal work at the Hyundai Main department store. Among the works of art that will be displayed at Hyundai Main, the historical monument of the world of Lladró, Carnival in Venice, will be introduced to the public through the event. This creative and prestigious piece has been revealed only to selected VIP since its launch in 2016. The process of Carnival in Venice involved over 22,000 hours of work by 35 skilled artists giving life this new creation, which includes 14 different characters. 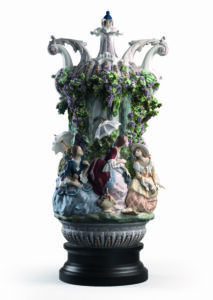 The most complex piece in the high porcelain collection derives inspiration from one of the world’s most famous festivals “Carnival of Venice”, and is a limited edition of only 100 units worldwide. 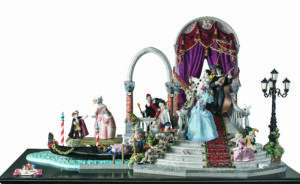 Beside Carnival in Venice, about 40 new Lladrós and various high porcelains, such as Cinderella’s Arrival, Winged Fantasy and Ladies from Aranjuez Vase, will be waiting for people visiting the event. In addition, the event will provide a great opportunity to meet the Guest series, the unique figurines born through collaborated work with well-known artists over the world, and Lladró lightings including Firefly Lamps. Also, the Special Invitation Event taking place in November is going to have a promotion to sell the 2nd graded Lladró products at up to 60% discounted prices. You can visit Lladró website here.